As of January 2012, it became required for licensees in North Carolina to obtain 12 hours of Continuing Education within each 2-year renewal cycle. One of the easiest (and most enjoyable) ways to earn your CE is by attending our Fall Conference, which is approved by NCPPSB for 12 CEUs. In addition to obtaining your CE, the conference gives you ample opportunity to network with licensees from across the state, meet with industry vendors offering products & services to use in your business, and participate in the NCAPI Board of Directors election. Please check back regularly, as it is updated following each PPSB meeting with the new courses approved during that session. What kind of CE classes do I need? The Board is in the process of reviewing and approving courses. Once the courses have been approved, you will be able to obtain CE credits by taking any Board approved course. In addition you can receive 2 hours per year by attending a Private Protective Services Board meeting. How many hours am I allowed to obtain on-line? Only six hours per renewal period may be obtained on-line. Does the Private Protective Services Board hold continuing education classes? The PPS staff and PPSB Attorney conduct four hour training sessions throughout the state. The training will cover an update of 74C, continuing education requirements, armed and unarmed registration procedures and recent court cases related to the PPS industry. Course and credit hours are as follows: PPSB-10-395 (Shannon Thongkheuang) Registration Procedures, armed and unarmed (2 credits); PPSB-11-554 (Judy Pittman) Overview of Standards and Continuing Education Requirements (1 credit); PPSB-11-553 (Attorney Jeff Gray) Legal Aspects of 74C and recent court cases related to the PPS industry (1 credit). Licensees attending the training can receive up to four hours of continuing education credits. These training sessions are commonly held following the NC PPSB General meeting at the same venue. 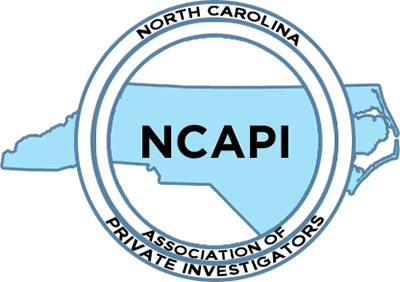 Please check the NCAPI calendar for these upcoming dates.